Crime Novelist Elmore Leonard Dies : The Two-Way His best-sellers included Get Shorty. Movies based on his stories included Hombre. Leonard was also the creator of the Raylan Givens character on FX TV's Justified. Leonard was 87. 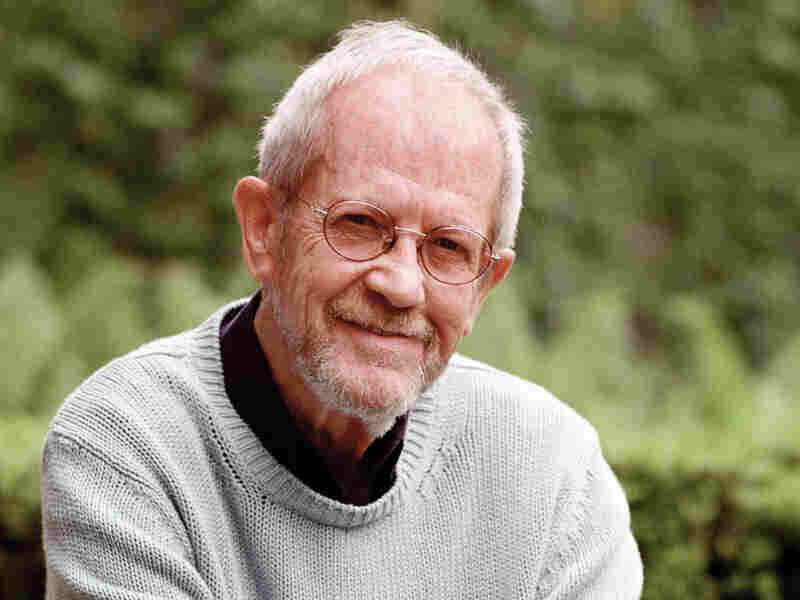 Writer Elmore Leonard died Tuesday at the age of 87. Elmore Leonard, the crime novelist whose best-sellers included Get Shorty, Freaky Deaky and Maximum Bob, died Tuesday morning at his Detroit-area home, according to statements from his longtime researcher Gregg Sutter on Twitter and to The Detroit News. He was 87 and was recently hospitalized after a stroke. In March 2010, NPR's Noah Adams visited Leonard at his home. As Noah wrote then, "Leonard has written 43 books, almost all of which have been optioned for films. His fans — there are many — say he's the best crime writer ever, and they can recognize any page based on the sound." "Well, when people ask me about my dialogue, I say 'Well, don't you hear people talking?' That's all I do. I hear a certain type of individual. I decide this is what he should be, whatever it is, and then I hear him. Well, I don't hear anybody that I can't make talk." 1. Never open a book with weather. 3. Never use a verb other than "said" to carry dialogue. 4. Never use an adverb to modify the verb "said." 5. Keep your exclamation points under control. 6. Never use the words "suddenly" or "all hell broke loose." 7. Use regional dialect, patois, sparingly. 8. Avoid detailed descriptions of characters. 9. Don't go into great detail describing places and things. 10. Try to leave out the part that readers tend to skip.